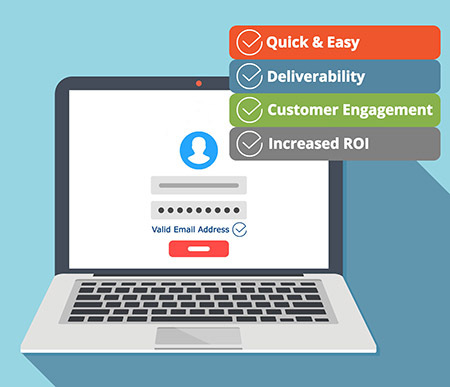 Validate the deliverability and quality of an email address in real-time with our point-of-entry email verification service. SmartSoft’s email validation tool can be easily integrated into your application, website, or other browser-based services such as CRM systems, to ensure the accuracy of the emails you collect. SmartSoft’s email verification solution can be used by anyone who wants to protect the investment made in their customer data. Online retailers, customer support, marketing, sales departments, etc., can all benefit from verifying customer email addresses as they are entered. By validating emails at point of entry, before they hit your database, expect to improve your email campaign performance, deliverability, customer engagement, and ROI. The Email Validation REST API provides a bridge between your own application or website and our secure email validation servers, built upon a reputable backbone across multiple data centers that process millions of messages each day. Emails will be validated in real time, and the ones you collect will be given a quality score and additional information on their deliverability provided. 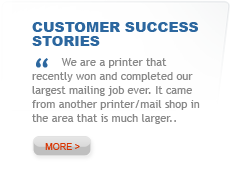 The quality value is an indicator of the quality of an email address. Just because an email address exists and is syntactically correct, does not always mean it is a quality address. Our Email Validation tool uses several algorithms to determine the overall quality of an email address. We’ll let you know whether an address is deliverable or undeliverable, but also highlight those addresses that may be deliverable but potentially low quality. These addresses may have potential problems that may affect its actual value, some of which are listed below. Flag email addresses that were generated using services that create ‘disposable’ email addresses, designed for a single use and then discarded. Identify email addresses that are using free email services such as Gmail, Hotmail etc. While there is nothing necessarily wrong with someone using a free email service, certain businesses will enjoy better response rates when they only send to non-free email addresses. Identify email addresses that are typically associated with a function (support, sales, mailroom etc.) instead of a person. These types of email are often harvested from websites and many email services will even prevent you using them for outbound marketing campaigns. A suggestion assistant can recommend an alternative email address to your user when a potentially mistyped address is identified.